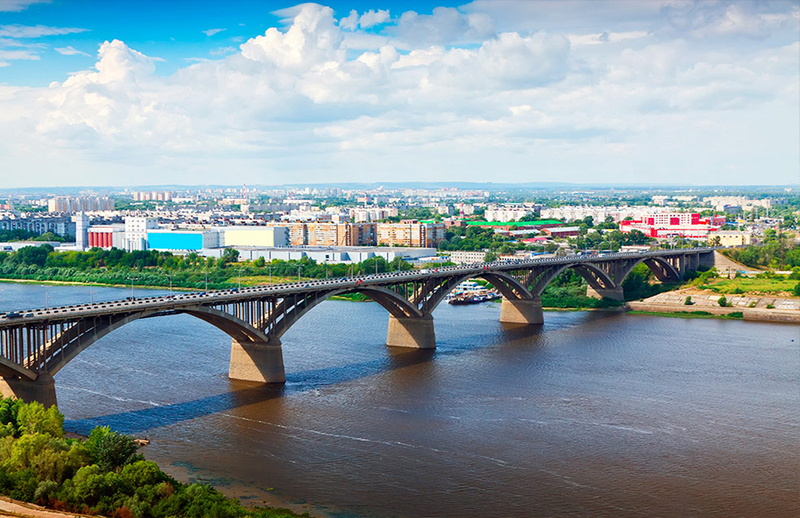 Nizhny Novgorod is a city in the European part of Russia located in the confluence of the Oka and the Volga rivers. 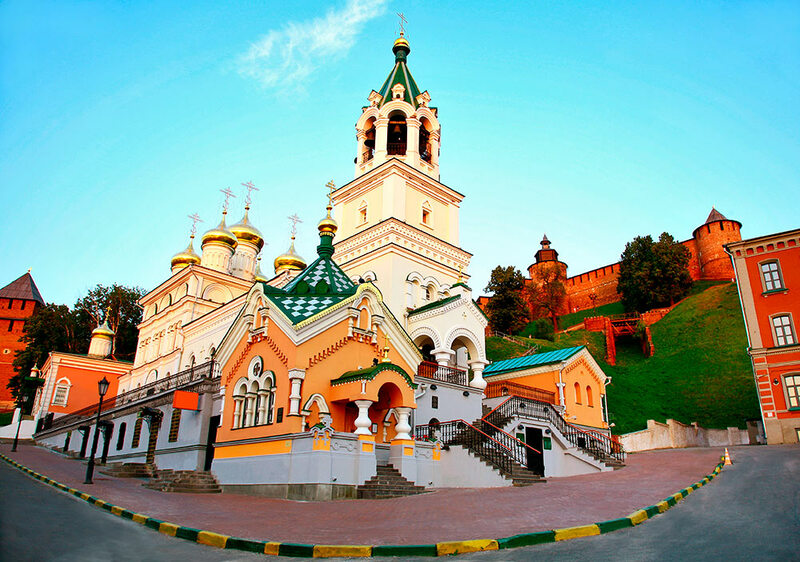 The city was established in 1221 and is located 400 km away from Moscow. 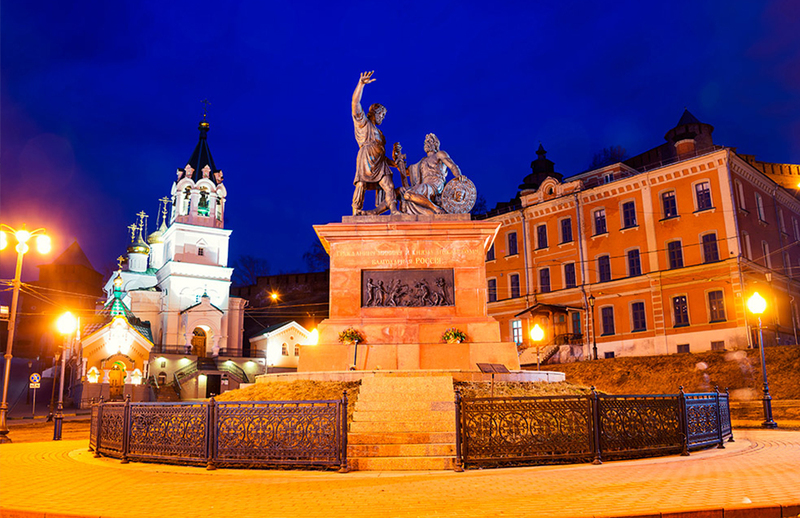 One of the most ancient cities of trade and handicrafts in Russia. 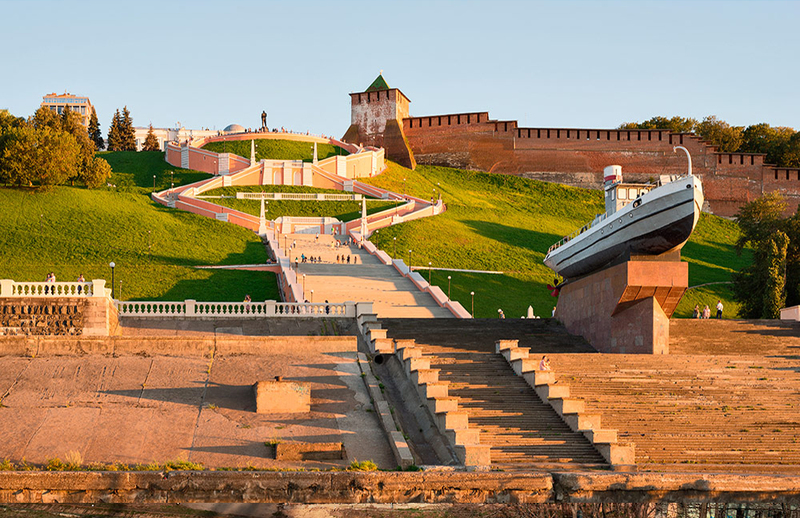 The Nizhny Novgorod Kremlin is the main attraction of the city and something it is rightly proud of. The Kremlin was built at the beginning of the sixteenth century as a military fortress. Nowadays, this unique open-air museum is not only a popular destination for regular guided tours, but also for special tours with elements of stage shows and quests. Rozhdestvenskaya Street is one of the central streets of the city where you can still see houses of the mid-18th/19th centuries. 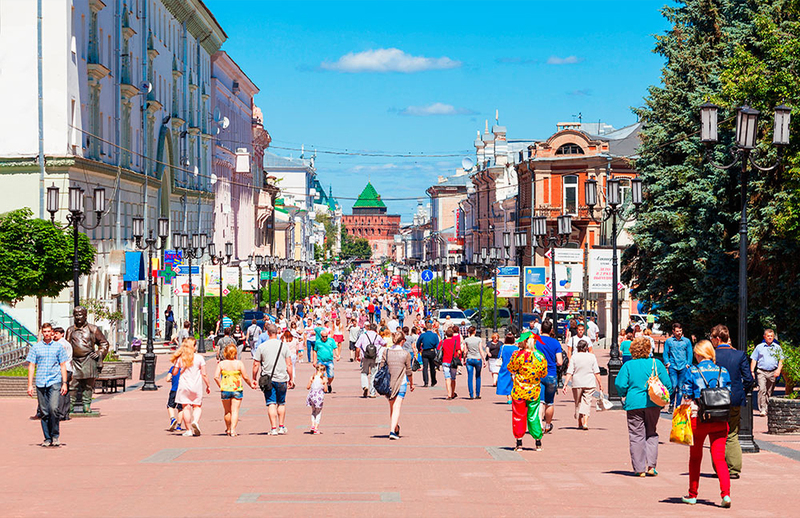 A walk along Rozhdestvenskaya Street is a guaranteed way to get in the perfect mood and become immersed into the atmosphere of the past. 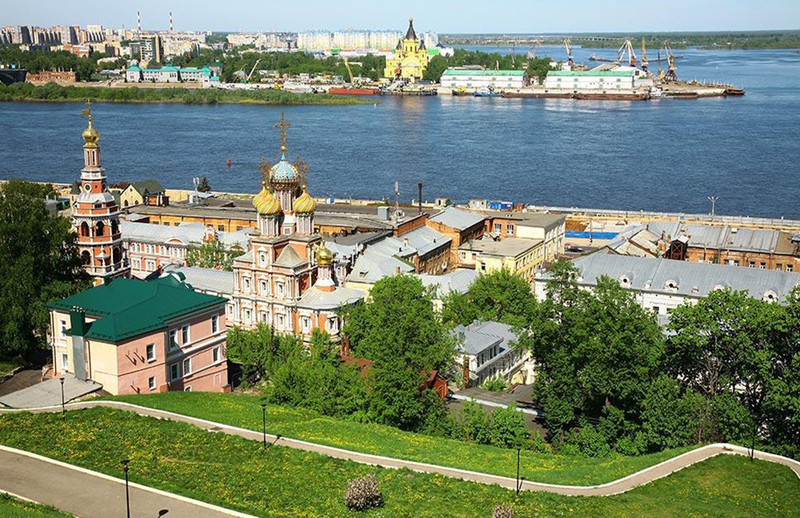 There are over 120 religious communities and societies in Nizhny Novgorod, including those for followers of Orthodox, Muslim, Jewish, Evangelistic, Lutheran, Buddhist, and other religions. The majority of local cathedrals are Orthodox, there’s a mosque, a synagogue, and centres of other religious communities. 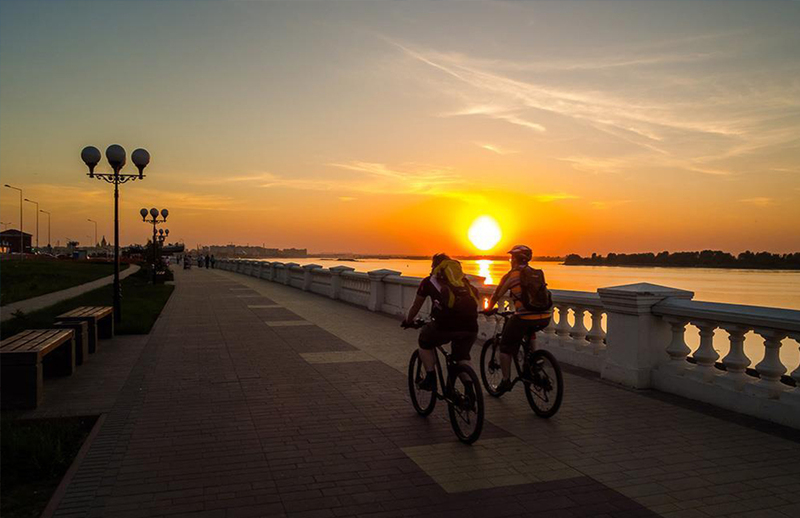 There are many spots in the suburbs of Nizhny Novgorod that are worth visiting, including multiple lakes. The biggest lake is the Svetloyar which is mentioned in the legend about the “Russian Atlantis” – the town Kitezh that drowned in the 18th century. This water body has an ideal oval shape and crystal clear water. It is over 33 metres deep. Over one thousand caves, chasms, rocks, craters, and grottos are located in the Ichalkovsky Pinewood – a protected forest, 170 km away from Nizhny Novgorod. Some of these caves contain concealed lakes. There are special guided tours, and you can even head off on your own adventure. A cable railway connecting Nizhny Novgorod with the town of Bor was opened in 2002. The transportation system, initially launched to relieve passenger flow, has quickly become one of the main forms of entertainment for locals and visitors of the city. There’s a museum in the productive mine of the Peshelansky Gypsum Plant (approximately 120 km away from Nizhny) where visitors can descend 70 meters underground. They are also offered miner’s coats, helmets, and lights, and shown how gypsum is produced today and in the past. The Pushkin Reserve Museum is in Bolshoe Boldino village, 230 km away from Nizhny Novgorod. Previously, here was the manor owned by the family of the poet for several centuries. Alexander Sergeevich liked to spend autumn months in the family estate – enjoying the beauty of Russian nature, wrote poetry and prose. 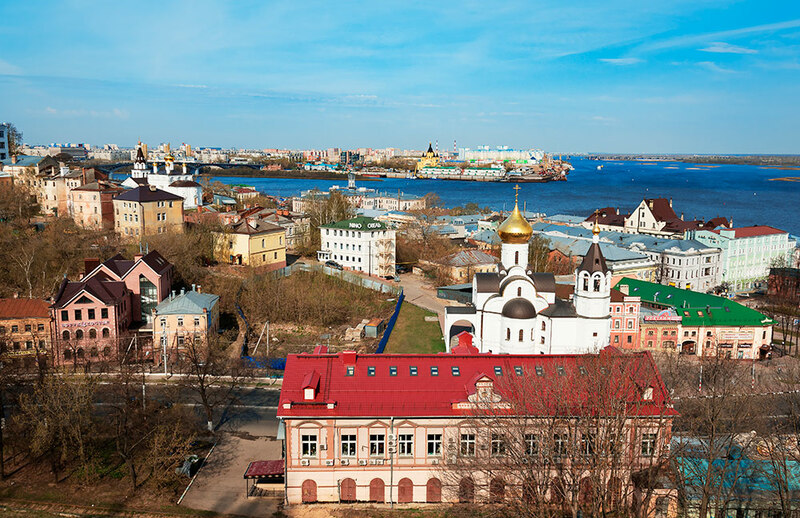 There is a town of Semenov in the Nizhny Novgorod region – the homeland of Khokhloma painting. Tours are organized for students to the factory producing Matryoshka (Russian nesting dolls), master classes are held. 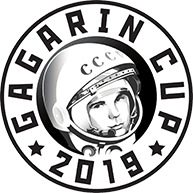 You can learn more about the folk arts and crafts in Gorodets – the old Russian town on the Volga River. 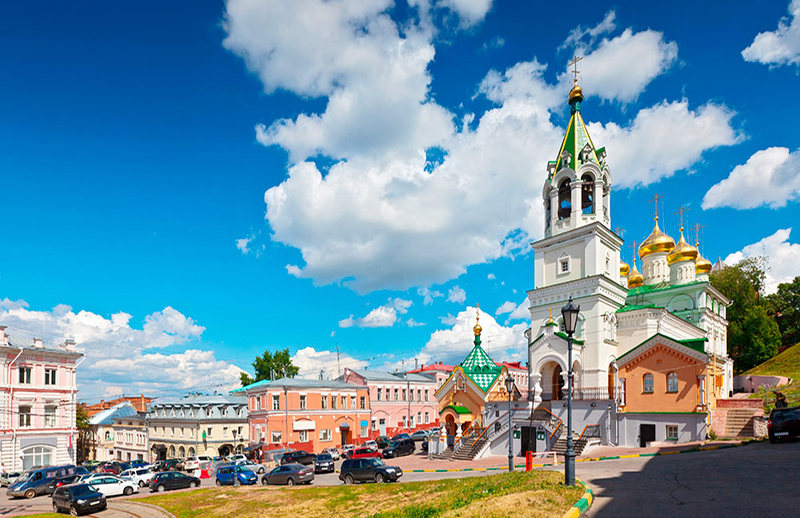 There is a museum and tourist complex “Town of Masters” with the expositions devoted to painting, embroidery, toys, wood carving, gingerbread making and pottery.